The CW has set the dates for the 2018 ARROWverse crossover. 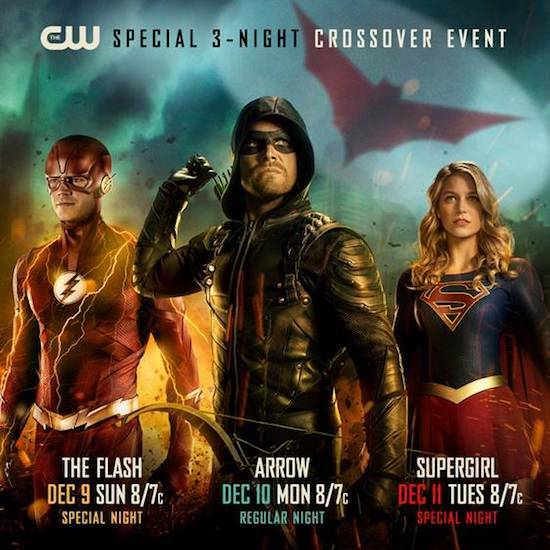 The three-hour crossover will start with THE FLASH on Sunday, December 9 at 8/7c. (The CW is swapping THE FLASH and SUPERGIRL air dates for this week only.) ARROW’s installment will air on Monday, December 10 at 8/7c. The event will conclude with SUPERGIRL on Tuesday, December 11 at 8/7c. LEGENDS OF TOMORROW is sitting out the crossover event this year.